I travel a good bit; I usually go on three or four international trips and a handful domestic trips every year. That means a lot of time spent in planes, trains, and automobiles. But the good news is, I’ve developed a few tips about which books to take along on trips. 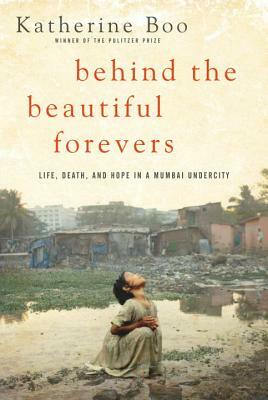 I began reading Katherine Boo’s Behind the Beautiful Forevers during my trip to India to report on health and development. Although I absolutely love this book and highly recommend it to pretty much everyone, this was not quite the right fit. I realized I needed something light and fun to balance out all of the work I was doing during the day. This goes for vacation reading, too. I’m often tempted to bring along Important Books from my TBR, but I always check myself and, instead, bring along a quick, fun, compelling read. Something that I know I want to read—not that I think I should read. Likewise, I try to avoid books that will make me cry, remind me too much of home, or make me worry about death/disease/dismemberment. There’s nothing like paranoia on a plane! I am all about paperbacks, galleys, and ebooks when I travel. Paperbacks are great because they are lighter to carry, I don’t have to switch them off at landing or takeoff, and I don’t feel as bad if I need to leave a paperback in my hotel room when I’m ready to go home. I try to avoid bringing hardcovers with me, but if I do, I usually pack them in my checked luggage. These tend to be the books I’m reading at night in bed, or on a long car ride. I always always always bring my fully charged phone and e-reader, just in case I blow through all of the physical books in my luggage (or if none of them are working for me). I don’t listen to e-audiobooks as much, but I always have one loaded up just in case the lights in the cabin go out and I can’t sleep. “Traveling light” also means being very choosy about which books to bring. On a two-week trip, I limit myself to 5-7 books. If I run out, I turn to my e-reader. When you’re reading in an airport or on a plane or on public transportation, be prepared to talk about your book. This is especially true if the book or author is very buzzy. So, choose books that you think you’ll want to evangelize about–books that you’ll want to shout about from the rooftops anyway. This may be a no-brainer, but… I love reading a book from or about the country or region I’m visiting. 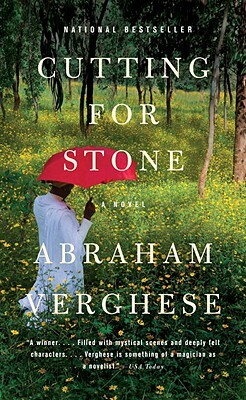 Reading Abraham Verghese’s Cutting for Stone while reporting on maternal health in Ethiopia deepened and enriched the experience for me more than anything else could have. Most importantly, have a good time. Long ago, I decided I would set no reading goals for my travel time. If a book isn’t working for me, I set it aside and try something else. If I’m too tired to read, that’s totally okay. Reading is supposed to be fun. So just relax! What are you reading/traveling tips? Ooh, I love these tips! Agreed on bringing light reads on vacation… I’ve made that mistake before.